Anthony Hudson has had a media career spanning over 20 years that has included sports commentating, broadcasting, public speaking and hosting. Passionate, knowledgeable and always well informed, Hudson has called five AFL Grand Finals for Network Ten and a further seven on radio. His commentary has also included: international tennis, cricket, golf, motor racing and swimming. Hudson cut his teeth on radio 3AW in the mid-1990s alongside seasoned performers Rex Hunt, Sam Newman and Ron Barassi. His resume would later include stints with Network Seven, Network 10/One HD, Fox Footy and SEN 1116. During Ten’s broadcast of AFL he hosted Before the Game and The Game Plan. He was previously the voice of swimming for One HD covering: the Australian Swimming Championships, World Swimming Championships, Pan Pacific championships and 2010 Commonwealth Games in Dehli. 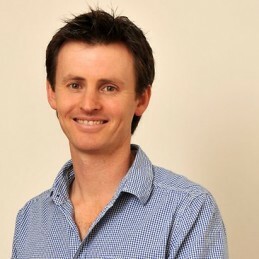 Hudson returned to football in 2012 as part of Foxtel’s Fox Footy channel calling live games and guest hosting the popular AFL 360 program. Hudson has been part of SEN since its inception in 2004. He is part of the Friday night broadcast team and the Saturday preview show Crunch Time. Entertaining and engaging, Hudson is as comfortable on stage as he is in front of the camera with regular work as public speaker, MC, auctioneer, quiz master and key note speaker.